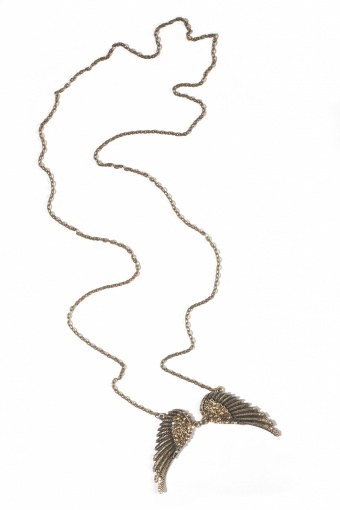 Vintage inspired long Guardian Angel Wings bronze necklace by From Paris With Love! 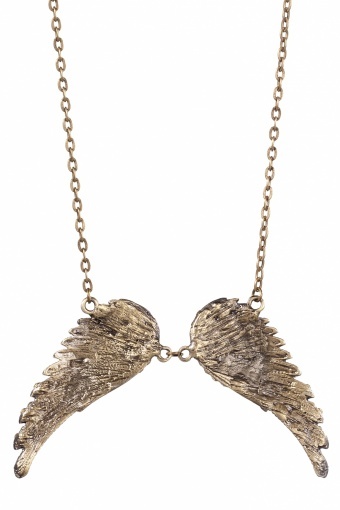 Very lovely detailed and separate wings in antique bronze tone metal (nickelfree). Richly covered with champain toned strass stones which gives it a warm and luxurious touch.